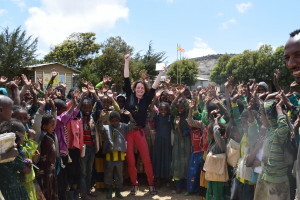 Virginie has shared a blog of her most recent trip to Ethiopia. 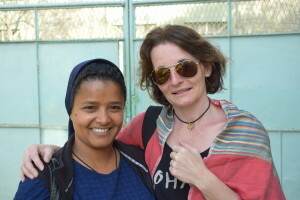 Leaving home was not easy, Genat was crying and wanted to come to Ethiopia with me. I tried not to worry as I had everything organised for the kids to be well looked after while I was away. They both agreed to share their mummy with the less fortunate children as I let them fill my bags with presents to give to the children. Stepping off off the plane and feeling the sun was nice but I quickly realised the heat was unbearable, the air was not nice to breathe and the smells…Welcome to Addis Ababa. My 3 days in Addis were all about memories of my 8 weeks here with Pierre, during Genat’s adoption. I am filled with emotions when I return to The Missionaries of Charity’s Compound (Mother Teresa Orphanage), the place where I met Genat for the first time. I am delighted to see that everybody remembers me, from the guard at the door, the nannies, some of the children and the Nuns. They are all asking for Pierre and Genat. I showed them some photos, nearly 4 years later. 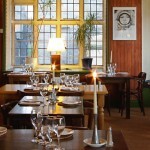 I have spent so many hours here with Pierre. This is the place where Genat got to know us, the place where her eyes met mine for the first time and I knew then that everything will be alright for her, my daughter. After my 3 days in Addis Ababa I flew to Mekele. It was a pleasure to meet Sister Medhin at the airport and everybody was waiting for me at St Vincent’s. I do feel at home in their compound. A haven of peace in a troubled Ethiopia. Sister Medhin warned me of the difficulties in returning to the refugee camp as things are not good at the moment and security is an issue. After a visit to the Kebele (Government Office) where I was asked millions of questions and told that I would not be allowed to speak to any refugee, I decided not to insist. So instead, I decided to give my time to the clinic, especially the feeding centre for malnourished children. There is a drought just now in Northern Ethiopia. No rain in this desert area promises drought and with drought comes famine in a country where 90% of the population are farmers. The lack of water everywhere I travel is obvious and the thought fills me with anxiety. The first morning I arrived at the clinic, I noticed so many people waiting at the gates. The beggars, the mothers bringing their sick children, all waiting in silence to be taken in. Doctor Mehari at Wukro Clinic was expecting me. This clinic has 90 beds and has been slowly renovated over the last 10 years. Dr Mehari proudly takes me for a tour before starting work. Every morning, we welcomed more malnourished children. I spent all my days and some nights working with the children and the situation was beyond what I had anticipated. We had a meeting with the staff from WHO (World Health Organisation) and a member of the UN told us that 11 million Ethiopians are facing starvation and no rain is expected before July! Because of the 40 degree heat, diseases like Typhoid, Cholera, TB are increasing and lots of children also suffer from pneumonia. All the children I saw at the Therapeutic Feeding Centre have skin sores, especially around their mouth and eyes. Most had chronic coughs. Five of them had severely swollen bellies, feet and hands. I also noticed their slightly reddish hair which indicates that their bodies are lacking sufficient protein. Their joints were so swollen that it hurts them to move but they only cry when I carried them, most of the time they sat in silence. As well as the medicines they need, every few hours the children are fed a small syringe of balanced liquefied food through a tube placed in their nose going directly to their stomach. Administering the tube was difficult to help with but I had to keep thinking of the benefit and that children quickly forgive and forget. heat. A vaccine has to be kept cold right up until it is used otherwise it deteriorates. The power cuts off regularly and the generators take ages to start. I felt so angry and asked myself how have the clinic staff not found a solution to keep the precious vaccines cold? I had to remind myself it is not just supplies that are sorely lacking but training and education too. The machine pictured below is used to help children breathe, especially when they suffer from pneumonia. One machine can help four children. The clinic has only one, more are needed. I also had to measure the children’s middle upper arm circumference. It is used to determine the level of malnutrition. Anything under 12.5 cm is considered severe. The first child I measured was just above 6cm. I found it very difficult that treatment can be refused to a child because in my eyes all the children I saw needed treatment but the clinic just cannot afford it……it is hard to look a mother in the eyes and to tell her her child is not sick enough. My worst nightmare would be to hold a starving and dying child. The task is enormous and I admit I sometimes felt disheartened. I want to believe I can make a positive impact on those children’s world but it is them who impact my world. People here suffer unspeakably yet their smiles are wide and genuine, I often wonder when I think of all the misery if God has abandoned Africa? I have come to appreciate as never before what a precious gift life is, in Ethiopia it is so tenuous and fragile. A day in a country like Ethiopia is hard work with very little return, often just enough to survive. The streets of Mekele were crowded with beggars and as I am white, they all come to me for attention. Like everywhere in Africa and most of the developing world, Polio is rampant and on every street corner in Mekele I saw people who can only crawl due to paralysis. I was told that it was better not to look and to ignore those people. Good advice from an experienced humanitarian worker but I needed to look in order to report what I saw. There are people in the streets with hardly anything on except a few ragged shreds of cloth to protect them from the ground and the cool nights. I felt guilty to walk away and ignore them, do they hate me for being born in the developed world? Each time I saw a little girl begging or working in the streets, half naked, eyes and mouth infected, I couldn’t help but think of my Genat. So many little girls here look like her. What will be her first impression of Ethiopia? As a parent, my heart aches for the children living in the streets. Poverty can be so severe and there seems to be no other choice for parents than to send their children off to work. Others are forced into the streets because both parents have succumbed to disease leaving them with nowhere to go. Their lives become a living hell. I then noticed all the armed guards outside banks, government offices, at the gates of the hotels. This brings it all into perspective for me. Ethiopia is a country peacefully at war with itself, a war of extreme poverty. But people bear their burden so gracefully. They have felt it for so long, they probably feel numb. Walking in the streets was an interesting experience that I did not want to ignore. Yes people stared at me and made me feel different but not in a bad way. The noises were constant, gasoline and diesel fumes. Everywhere there were piles of rotting rubbish and pools of stinking black water that barefoot children were walking in. I even saw a group of kids with distented stomachs playing with the carcass of a goat. I noticed animal skeletons and bones everywhere. Why can we not give a roof or a shelter to all these people? I also visited two very poor schools (Government schools). I promised myself to help them financially. The first school I visited had 540 children, no water, 1 toilet, no tables, no chairs, no books…the children sit on a stone! I was told that some of them are collapsing on their way to school because of the heat. There was also a water shortage. I think how great it would be if more of these children could have a free meal every day at school…..
That’s it. Here is a wee summary of my last trip in Northern Ethiopia. Unfortunately, I feel things are not getting any better. The drought is definitely causing more misery and suffering. 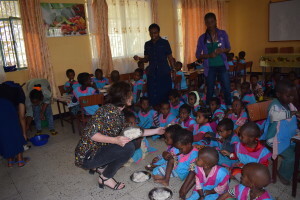 The Daughters of Charity are doing a fantastic job and with my support, I could see that many children are benefiting. It was nice to finish my trip on this positive visit to the Kindergarten where the money we all give is used. 800 children are being fed daily in two different locations while attending school. It was so reassuring to see smiling and mischievous kids after the misery I witnessed earlier on during my trip. The Daughters of Charity are doing a fantastic job with the children. The level of education is excellent, all children are taught English and they are using the “Montessori” method. 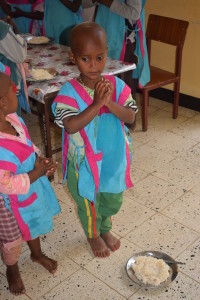 Children are all receiving a nutritious meal at lunchtime and biscuits at breaktime. It is often the only food they receive in a day as their parents are all from a very poor background. 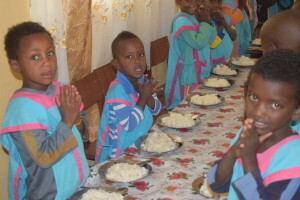 Unfortunately, thousands of others are left behind … There is a lot more to be done and every year, thanks to our donations, The Nuns at The Daughters of Charity are trying their best to take on board more children, to feed and educate them. I was lucky to meet with Princess Ann last month at St Mary’s which was a fantastic opportunity for me to talk about my work in Ethiopia. Princess Ann has already visited the country and genuinely seemed interested with what I was doing over there. 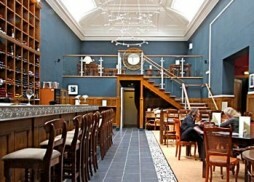 Why not visit our wine bar? website by Andrew Christian Design.